Pili Carrera two-piece outfit set. Pintucked front with button detail. Full button back; short sleeves. 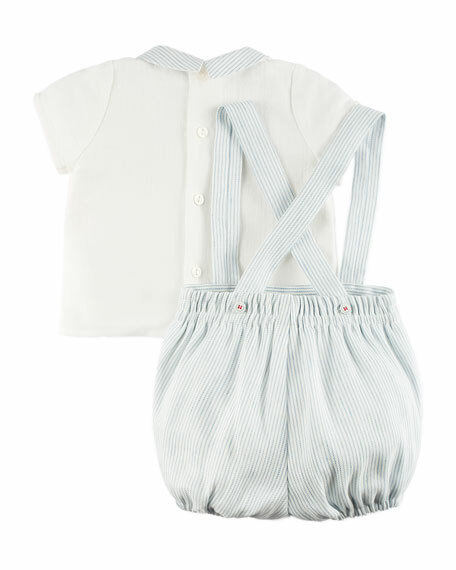 Overall shorts with elasticized waist and legs. Shorts and blouse fabric 2, linen/polyester. Short linings and blouse fabric 1, cotton. 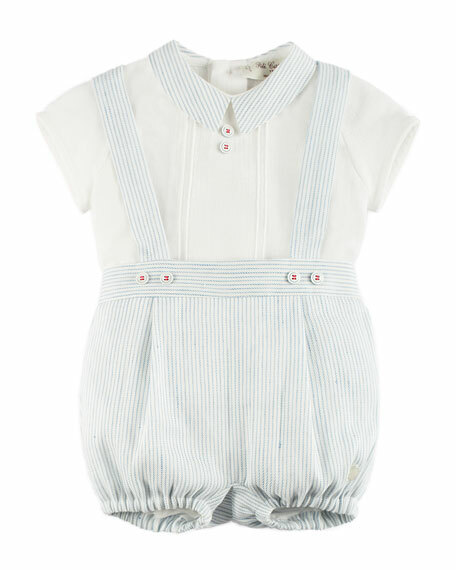 With over 50 years of experience in children's fashion, Pili Carrera celebrates modern style with a vintage twist. The collection of knits and outerwear boasts bold colors and classic silhouettes, refining the closets of kids everywhere. For in-store inquiries, use sku #2448538.